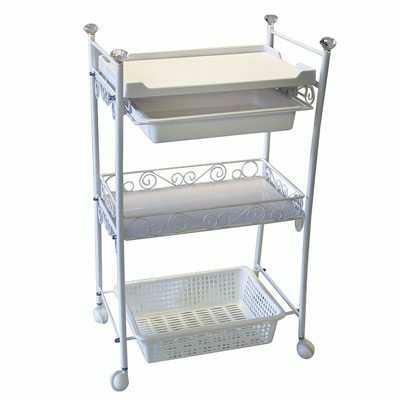 Three Tier Trolley - Beauty Gallery Ltd.
Top tier – shelf with drawer white heavy duty plastic, chrome metal basket attached to the top side of the trolley. 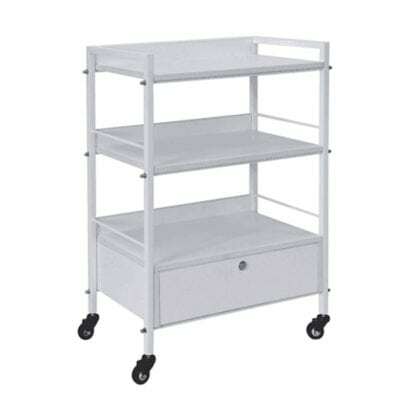 * Mid tier – white heavy duty plastic shelf. 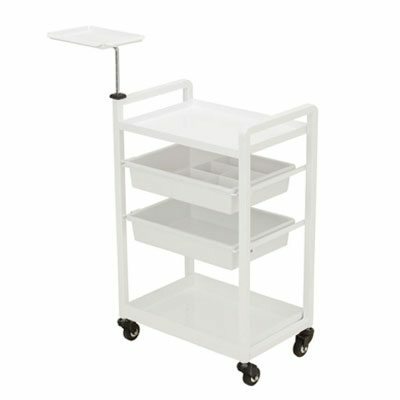 * Metal white powder coated frame, four free running casters. 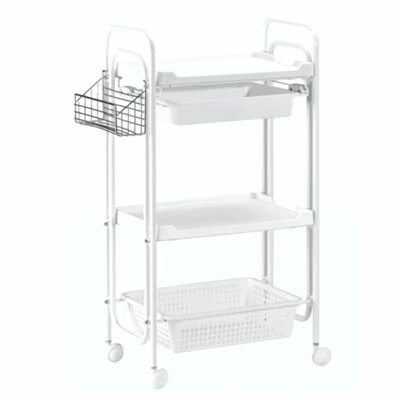 * Dimensions: 870mm Height x 480mm Width x 300mm Depth.